Soft days of summer approach, which I've come to acknowledge with an annual purchase of SPF 50 at the Clinique counter. And while hats, the right sunglasses, and a spot in the shade are peaceful means of recluse, I cannot deny the sure satisfaction of bundling up. 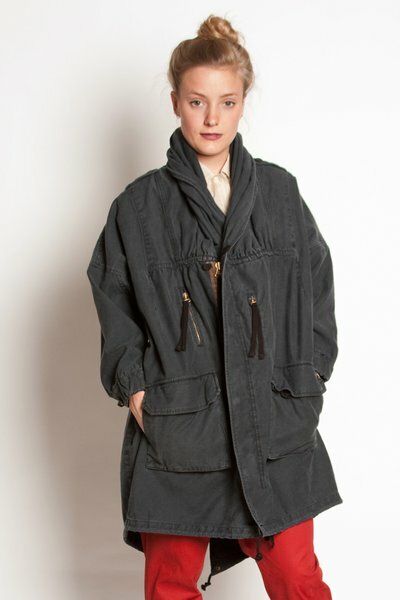 At the risk of jumping the gun, here are a few of Opening Ceremony's utilitarian looks that have me swooning. This is a style genre thats evolved throughout the seasons; the harshness of military structuralism is something that's softened and become ambidextrous. Long lengths, layering flaps, and the perfect oversized fitting make it all a little more approachable– romantic, even. 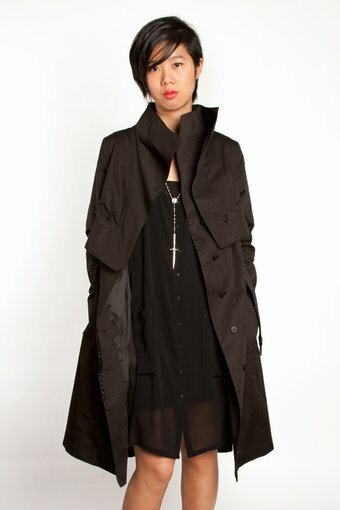 Dress & Co is a Japanese designer named Hideaki Sakaguchi with some very cool offerings. (Featured above: Looks 1, 3, and 4) Created for walking, wearing and burrowing within, Dress & Co's looks are disgruntled yet elegant. Sakaguchi holds ties to both street savvy frocks and showpiece designs, and maintains consistency with whimsical and peculiar tidings. Fifth Avenue Shoe Repair is another worthy name-drop. (Above: see Look 2) Cool cut simplicity with an edge is one way of putting it; there is an emphasis on the understated. Its classic with a twist... and the equally delicious menswear is an added bonus.